Tomorrow morning I was rather hoping to give The Queen a little poke, but apparently she won’t let me. She won’t even let me be her friend. I’m not sure Her Majesty gets the point of Facebook, but at 8am she launches her very own page. Just a few years behind the times (Facebook has been around since 2004, and now has 500 million regular users – one fourteenth of the population of the entire planet), I guess the “British Monarchy” page will be full of interesting press releases about what the royal family is doing and where it’s going next. It could soon match The Times’ Court Circular for excitement. It will allow you to leave a message on its royal “Wall”, but not grafitti, though I doubt the royal face will actually peruse it. In fact there are already some Queen pages on Facebook. One has 5,700,000 followers, but it is for the rock band. Another, called simply The Queen, has just 14,000 supporters and is an unofficial fan club for our monarch. It lists the Queen’s interests as “hunting, fishing and being god blessed”. One young girl describes the Queen as “mint”; another asks if she plays Farmville, the virtual game played by one tenth of all Facebook users, where you run your own farm, feeding livestock and growing crops. I suspect Her Majesty has enough real farms of her own, though if Farmville installs a pheasant shoot, perhaps she could be persuaded to bag a few virtual brace. When Mark Zuckerberg set it up from his Harvard bedroom, Facebook was a sort of private networking club for rich college students and it quickly spread to other exclusive universities. The idea was that you could add “friends” to enhance your social status: it was effectively a posh dating club. Since then its function has scarcely changed. I can’t actually fill in most of my “profile” because the questions don’t really fit me. It asks if I’m “interested in Men or Women”. Being happily married, I have naturally ticked neither box, although being quite interested in almost everyone I meet is a consequence of being a journalist. It then demands to know “what I’m looking for: Friendship, Dating, A Relationship, or Networking”. Unfortunately that list doesn’t include The Meaning Of Life, How to Pay Off My Mortgage, My Spectacles and Car Keys or any of the other things I’m usually seeking. As a result I tend to use Facebook to find out what my children have been doing and whom they’ve befriended: that makes pretty terrifying reading. On Facebook you’re either a friend, or not: there are no degrees of fraternity. So my social network includes heads of television networks, old school friends and 12-year-old nephews. As a result, I never know quite what tone to take. This weekend I’d like to tell all my real friends about a particularly nice beef fillet I cooked for a friend’s birthday party; or Izzy’s ability to say “toes”, “pizza” and “bellybutton”. I don’t think either comment would interest the majority of those on my list, so instead I tried, Obama-like, to persuade them all to vote for my son’s entry in a short film festival. But I’ve got a plan. I’m going to start the world’s first antisocial networking site for the over fifties. I’m calling it “FaceliftBook”. I wonder if I can persuade Her Majesty to join? Can one befriend the Queen, even virtually? I'd love to read her twitter posts though. brilliant i just love this blog excellent funny well written !!! Don't be anonymous, Anonymous. 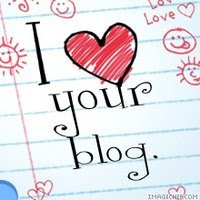 Especially when you write such nice things about my blog. Thank you anyway.